With this article I would like to introduce you to Self Esteem Wellness so that you can understand more clearly that self esteem and self responsibility are at the heart of your lifestyle. You can improve your self esteem by using he 7 dimensions of wellness, since wellness represents self responsibility for a healthy lifestyle. Let’s first define wellness. According to Taber’s Cyclopedic Medical Dictionary, wellness is the condition of being in good health, including the appreciation and enjoyment of health. Wellness is more than a lack of disease symptoms; it is a state of mental and physical balance and fitness. Self esteem is one’s personal evaluation or view of self that influence feelings and behaviors. 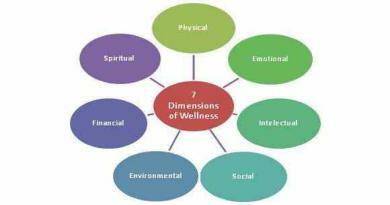 We can use the 7 dimensions of wellness to balance our growth and develop a healthy self esteem. Physical wellness means engaging in exercise or physical activities and healthy eating habits to keep you in top physical condition. It also involves talking responsibility in choosing your medical doctor and dentist so that you can monitor your body warning signs. When you take care of your body by giving it the right care you also enhance your self esteem, self control , determination and you feel good about yourself. Are you aware of your present health condition? Do you know your numbers regarding blood pressure, cholesterol and blood sugar levels? Do you get a physical check up? Do you have the right amount of sleep? If you answered no to any of these questions I would suggest you start taking care of your physical wellness. Get enough sleep. Persons deprived of sleep for several days or more become irritable, fatigued, and unable to concentrate and usually disoriented. Performance of mental and physical tasks deteriorates. Some individuals experience paranoid thoughts, anxiety and overeating. If you are not having enough sleep, start now by establishing a routine time to go to bed, sleeping in the dark, free of noise, avoid caffeine or excessive food before bedtime. Check Sleep Problems download. Eat Healthy. You can find more information reading books or consulting with your nutritionist. I will give you some tips you can start right now: Use healthy oils like canola or olive, consume lots of veggies and plenty of fruits. Drink water and avoid sugar drinks. Consume more whole grains, like whole wheat read, whole pasta, brown rice. Choose poultry, fish and nuts, limit the intake of red meat , bacon or processed meats. Get a steamer . Steaming vegetables will keep the vitamins. Also if you use a Grill Pan The grill pan will prevent the meat to burn easily by creating a barrier between the flames and the food, they are easy to use an inexpensive. Emotional wellness refers to our emotional health. To meet your emotional needs constructively. Is to have a healthy self esteem, a positive attitude, a strong self image and therefore a good mental health. In order to build your self esteem you have to take responsibility for your behavior and learn to respond accordingly. Your emotional wellness will help you to develop the ability to manage feelings and emotions, cope with stress and relationships. You will become more aware and accepting of your emotions and feelings. Do you accept your emotions and feelings? Are you able to ask for help when you need it? Do you know how to meet your emotional needs? Are you managing stress well? If you answered no to any of these questions I would suggest you start taking care of your emotional wellness. Learn how to communicate your feelings without hurting other people. This means that you have to start practicing assertiveness. 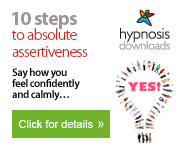 When you are assertive you communicate your needs, feelings and wants without hurting others. You are honest but not rude. It is about respecting yourself and others. Don’t be afraid to ask for help when you need it. If you are having problems with this issue you might be a perfectionist and suffer fear of rejection. It is ok to ask for help and there is nothing wrong in doing it. It does not mean that you are weak. Successful people ask for help , that is the way they grow and learn, plus your become empower because you know that you are a human being that does not have all the answers but you are willing to make things better. 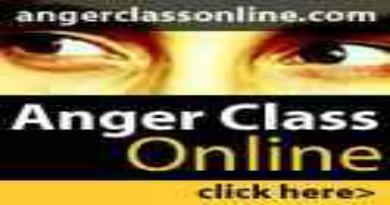 Take and anger management class. Anger will poison your life. If you feel anger or react with anger frequently remember that what is causing your anger is not the real problem. Take a massage. A massage will help you release stress and enhance your emotional being. Meditate. The benefits of meditation include: relaxation, stress relief, build confidence, lowers blood pressure, enhance immune system. Try to mediate every day, twice a day for about 20 minutes. Meditation had helped a lot and is still helping me. You can practice any meditation. I started with mindfulness, then primordial sound meditation and now I am doing TM. During my meditation I don’t experience a lot of things, but after doing it I feel joy and a lot of inspiration. Of course had helped me to build my confidence and I have learn to become more aware of my emotions. Use your creativity; express yourself with paining, dancing, singing, writing, etc. encourage others and be more considerate. It will help you to achieve your goals, be more happy, have more energy and overcome obstacles. Read self help books. The habit of reading books is a good one. You can find the answers to your questions, understand situations, and discover how other people have overcome the same obstacles you want to overcome and keep you inspire. Spiritual wellness is an essential element in a person’s life as it involves one’s beliefs and values that lead to finding his purpose and meaning in life. If a person has achieved the ideal spiritual well-being, one will know the meaning of his existence. In this world, people are different and come from various backgrounds and culture. This means that each individual differs from one another and so is their spirituality. Because of people’s difference, there are also diverse ways on how each person strives for harmony in life either with himself or with the people thatspiritual surround him. While in some instances, people strive to improve their personal needs. According to the National Wellness Institute, there are two tenets that are necessary for one’s spiritual state. The first tenet is to search for a person’s meaning in life within himself as well as to be forbearing and accepting of people’s differences including their beliefs and values than to be close-minded and become un-accepting. The second tenet is to live each day of a person’s existence consistent with his beliefs and values than to live each day against his own beliefs and values and then feel untruthful to himself. Achieving spiritual well-being should be guided by these two important tenets to live by as people strive for that inner peace, harmony and personal needs with himself, with other people and with the world. On the other hand, as people strive to find their own meaning and purpose in life, there are certain things that make them doubt or question their existence or the occurrence of bad experiences. As a result, there are a lot of questions that are left unanswered that lead to more confusion. What is important though is to keep an open-mind in this spiritual journey. As an individual goes along this path to his spiritual well-being, it can be a chance for him to appreciate the world more and what it offers. The path can be rough at some point because one will experience inner personal emotions and feelings, both good and bad. Happy instances may include feeling joyful and satisfied while tough points may include feeling doubtful, disappointed, scared and even disengaged. Nevertheless, both are important to achieve one’s spiritual awareness because experiencing these feelings can justify and strengthen one’s beliefs and values. These are experiences where you can learn from no matter how happy or tough it is. However, how can one know if he is engaged with his spirituality? A way to know is to evaluate your spiritual well-being by asking these questions. The first question is if you make time to meditate and to relax every day. In order to reach one’s spiritual state, one key point is to always make time for yourself and to think over all the things that you have experienced throughout the day. The next question is to always have time for prayer. Prayer is the best weapon a person carries to achieve a sense of harmony and inner peace. It can also be a way to reflect and talk to your God, whatever religion or spirituality you come from. Another question you may use to evaluate your spiritual well-being is if you use your beliefs and values to guide you in every decision you make. As what was said in the tenet, one’s spiritual state should always be guided by his own beliefs and values and these should always be consistent with how the person lives his life. So acting according to your beliefs and values means that you are staying true to yourself. The last question is if you are accepting of other people’s views. In relation to the tenet, it is also said that having spiritual well-being means that one is accepting of people’s differences including their views, values and beliefs. In order to attain spiritual well-being, one should know that this process is a way of reconnecting with one’s spiritual core. It is also an understanding that each person is unique in their own way. The first way to achieve the ideal spiritual state is by exploring your spiritual core. Ponder on questions such as who you are as a person, where you come from, why are you here in this world, why does evil exist, etc. During this first step, it is also vital that one observes silence through the act of meditation. Meditating is a form of being fully present at your current state and embracing where you are right now. Aside from embracing the positive things in life, learning to appreciate the pain and grief that you may experience is another way to achieve your ideal spiritual state. Know why you experience these unpleasant feelings and then be accepting. Do not question your life experiences, whether it is good or bad, and always be curious to know why you experienced it and what it is trying to teach you. 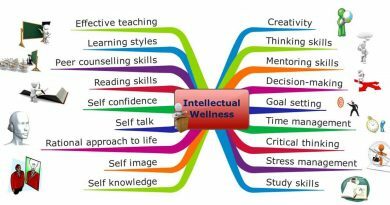 Intellectual wellness is focused on how you use your mental ability as a person.